This elegant timber glasshouse combines style with functionality. Featuring fully glazed panels with three opening top windows, and supplied with five sets of staging. It is manufactured from pressure treated softwood and has a planed, smooth finish. 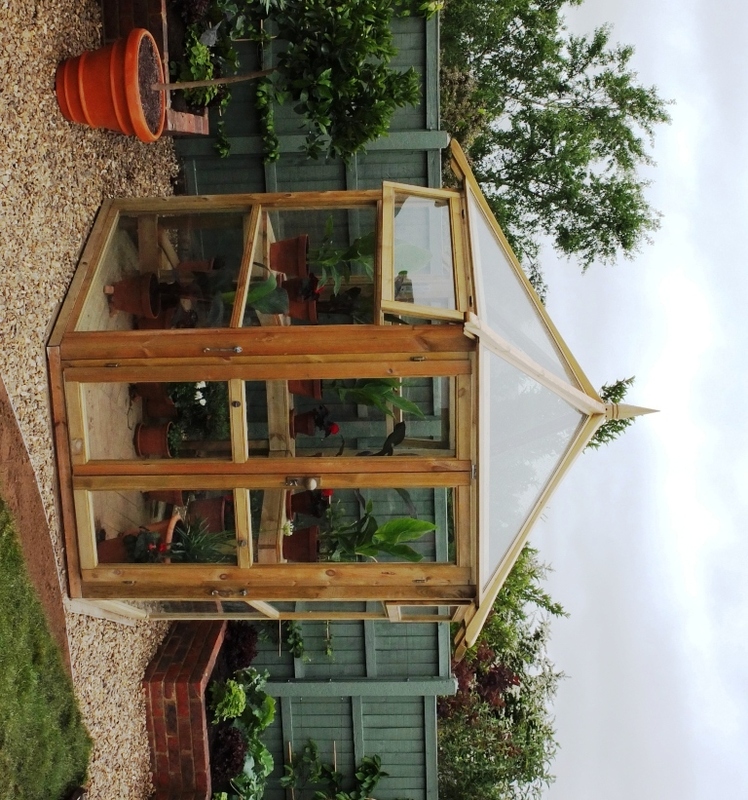 It has toughened safety glass and even comes with 5 sets of timber staging – perfect for John to grow plants in. It really is the perfect place for John to grow plants in and we think it sits beautifully in their garden. The Glass House retails at £2899 delivered or £3298 delivered and installed….we had the lovely guys from Forest put it up for us and they did a great job! We wanted to make the most of the evening sun in John and Christine’s garden and this corner arbour is perfect for them to sit in. It has 2 lovely windows with attractive metal scrolls in the back panels. It comes in plain, pressure treated softwood timber. However, we wanted to brighten it up so had it painted. Finding a garden structure that is beautiful yet also functional can often be a difficult task, but we think this fits the bill. John and Christine can enjoy sitting in their garden in comfort and style. 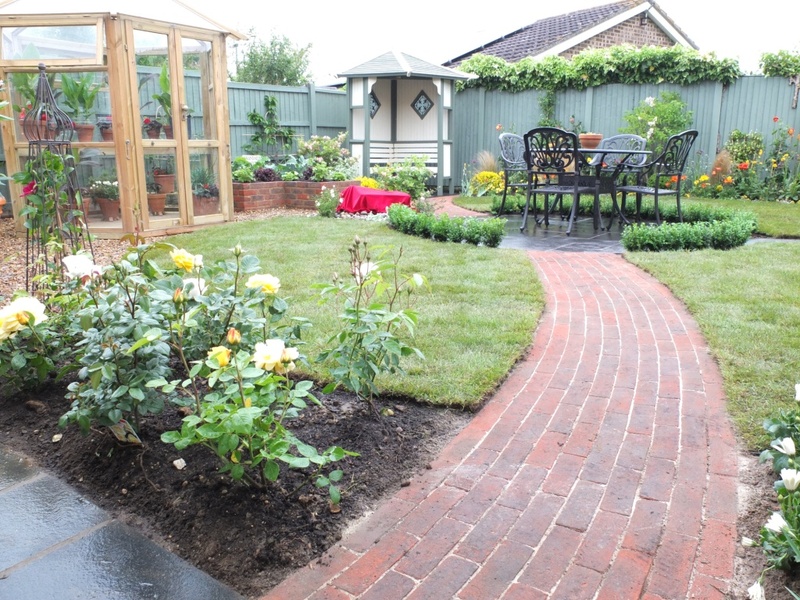 We wanted to build a traditional brick path in John and Christine’s garden so selected these fantastic brick pavers which are perfect for the job. Brick pavers are specially made and constructed for use on the ground and normal bricks shouldn’t be used because they are intended for masonry structures. Also, bricks are not tested to paver standards so it is not known on how they will perform in the long term, how slippery they may become or if they would snap under load or remain durable. Pavers on the other hand will be robust, solid and produced for the application. 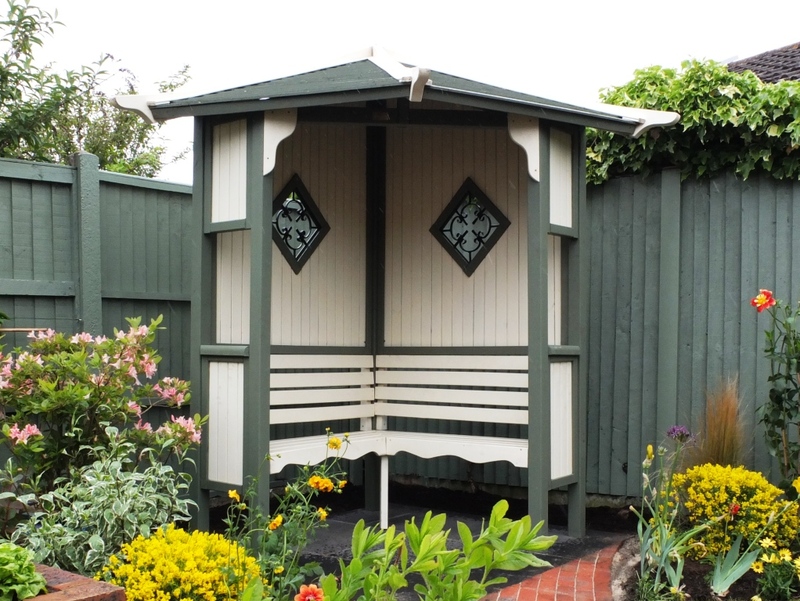 They are available in a range of colours and sizes that will compliment your garden perfectly. We built raised beds using bricks to match the traditional pavers and these are frost resistant (known as F2) and suitable for use in the garden. You must remember to waterproof the inside of a raised bed before you add soil to it, to prevent the bricks from being permanently wet. We selected West Hoathly Medium Multi bricks and Laybrook Red Multi Stock Pavers for their garden. The brick pavers retail from £26 per square metre. 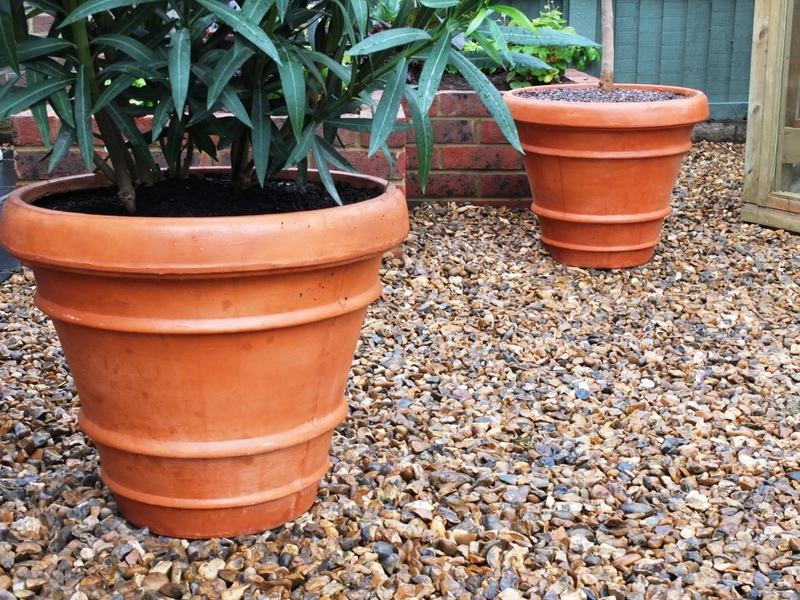 We wanted to have some traditional garden pots that would match the hard landscaping materials used in John and Christine’s garden and so decided on terracotta. We used a variety of different sized pots to suit the range of plants which we put in them. They are all frost resistant terracotta pots, so can be used outside all year round or in a glass house like at John and Christine’s. 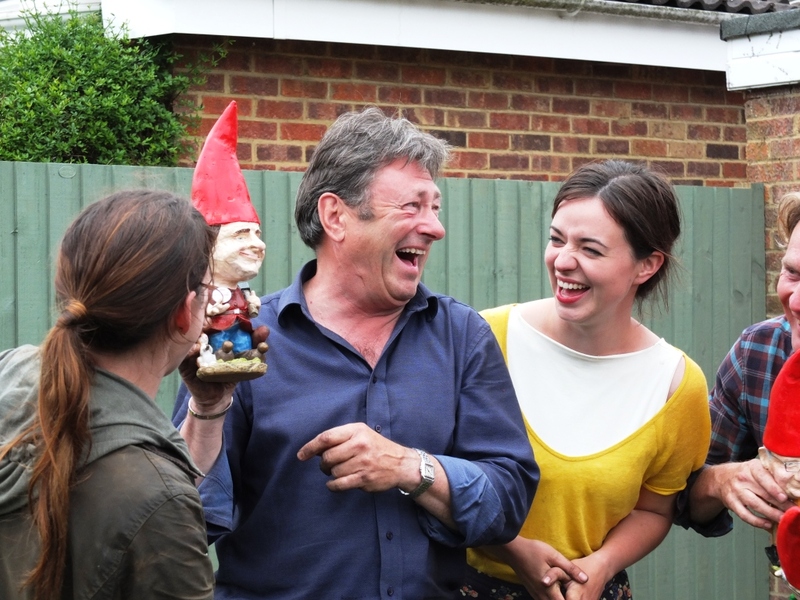 We had these fantastic bespoke caricature gnomes of John, Christine and Alan Titchmarsh made for us by the very talented Kim Leachman. Kim specialises in fabulous caricature gnomes, statuettes and gargoyles. He has made them for many famous people, but also will create them as a unique gift for a special person.